Home » Artistic » Accompanist sought: apply within! By andyjones in Artistic on Feb 09 . 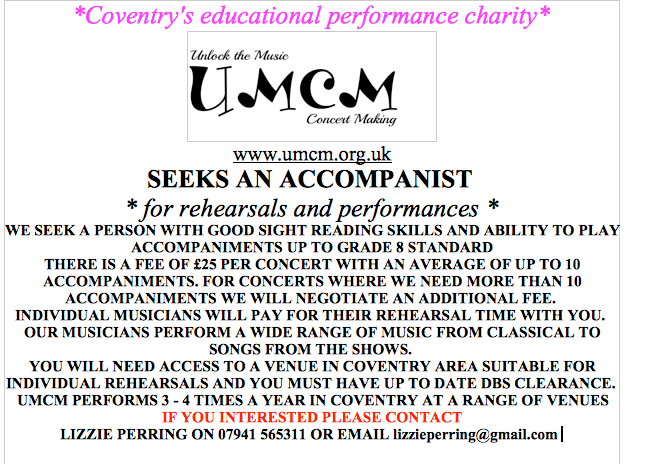 UMCM are looking for an accompanist who shares our core values. Some payment will be available. See the attached poster for full details. Please contact UMCM if you think you might be interested or just to know more.